We've all done it. you're riding through town, minding your own business, and some clown pulls out in front of you. You brake, go to have a quiet word with them...and realise that your indicator is still going from your last turn, so in fact they thought you were turning off. Oops. Embarrassing and potentially bloody dangerous. Now back in the day, quite a few manufacturers meddled with self-cancelling indicators. Yamaha gave it the most serious effort, if I recall, with pretty much all their mid-eighties machinery blessed with a rudimentary self-cancelling system. The trouble was that it really was rudimentary, and could either cancel an indicator when you didn't want it cancelled or leave it going when you wanted it off. Yes, you could override it, of course, but that rather defeated the point. What we needed was a box that was smart enough to know when it should blink and when it shouldn't. It would be able to tell if we'd turned, slowed down, stopped at a junction, accelerated, leaned over... In other words it would be ablout thirty years more advanced than anything available at the time. So let's fast-forward thirty years then. And sah Hallo to STS Smart Turn System. This is a clever little box developed by a chap in Slovenia. I say clever but I may be doing it a disservice. It's actually quite uncannily clever, able to look at a wide range of parameters and work out, it would seem, exactly what your bike is doing and whether or not it should be indicating. Which is impressive in itself. The fact that it's been developed with virtually no support or funding, by one or two people working part time and is such a polished product is mindblowing. The concept is simple enough, as we've seen. Where this device goes further is in the additional things it does. It works out your speed, your lean angle, the length of time you've been indicating and the distance travelled. 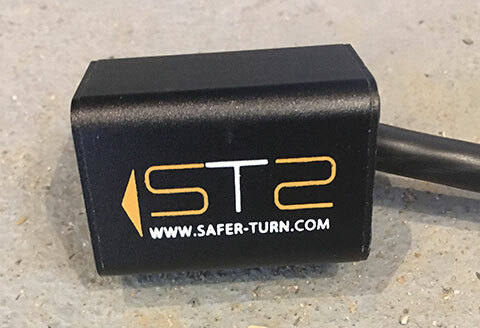 Using a combination of GPS and accelerometers, it therefore knows if, for example, you're indicating to pull out of a junction or on a roundabout or...simply forgot to turn cancel the signal. Now you may well look at this and scoff. You never forget to cancel your indicators after all. But you probably see one or two people every day who aren't as good as you. I know I do. Maybe they could use it? There's a downside of course. While it's a fairly straightforward DIY fitment, the box needs to be oriented the right way and as a result isn't necessarily that easy to find a mounting point for. I know on our test GSX-R it was a pig to do, though we managed eventually. 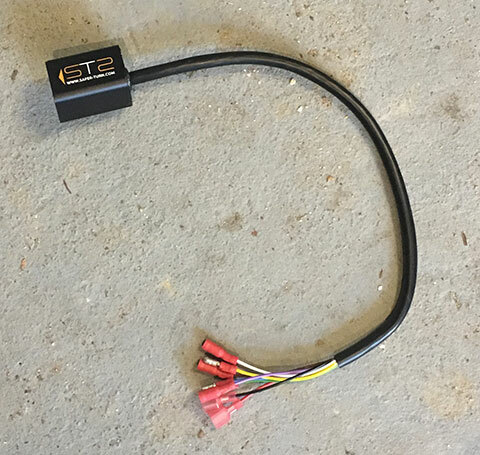 What I will say is that the wiring harness has good quality connectors on it, the box itself is well finished and looks reassuringly weatherproof and the installation instructions are clear and accurate. Overall I'd say this is a thoroughly clever device that might just save your life, or at least some considerable discomfort, for relatively little outlay and hassle. On that basis, surely it has to be worth the effort? Copyright © Motorbikestoday.com 2017. All rights reserved. Users may download and print extracts of content from this website for their own personal and non-commercial use only. Republication or redistribution of content, including by framing or similar means, is expressly prohibited without the prior written consent of Motorbikestoday.